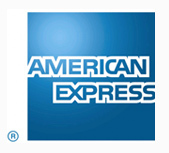 The American Express Cenvet Australia Platinum Business Card will improve the cash flow of your business and reward you for it at the same time. Redeem points for over 1,500 merchandise and gift-card options or with eight different airline reward programs. Take advantage of increased cash flow with up to 51 credit-free days. Take comfort in great offers on travel insurance for both international and domestic travel, including medical expenses. In addition to our focus on delivering the highest-quality products and services to our clients, Cenvet Australia has developed a number of highly attractive loyalty initiatives and marketing-support programs. Our flagship loyalty-reward program is Cenvet Choices. Cenvet Choices members earn points each time they perform a transaction with us. These points can then be redeemed for any number of excellent rewards. Never have to find an invoice to claim your supplier rebate - we take care of all the paperwork! With CenSational Rebates & Rewards, you will be rewarded for your brand loyalty and not just volume. Even if you are a solo practitioner, you will be rewarded. Updated on 2019-02-12T15:49:45+10:00, by Brendon Short.